A quick tip… When you yarn seems to be dragging on your hook, it can really slow you down… And also cause hand fatigue! Sometimes it is the yarn you are using and sometimes it is the hook… A quick and simple tip: Take a small amount of household furniture polish and a soft cloth,,, Place a very small amount of polish on your cloth and polish the shank of your hook (the hook area). Make sure to work the crevice and the tip thoroughly, and wipe all excess polish away. This method can be used on metal, plastic or wooden hooks. 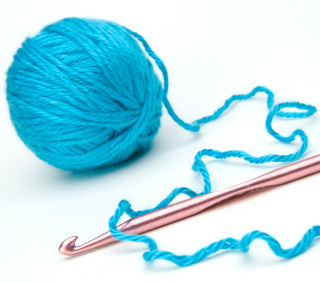 A smooth hook makes for speedy crocheting! Fantastic tip! I had some dragging trouble before so this will help, thanks! Thanks for the tip. Dragging is a problem, especially when I’m crocheting for a long time.